For use with SEA-DOO® 800 (also the ’95, ’96, XP and GSX). 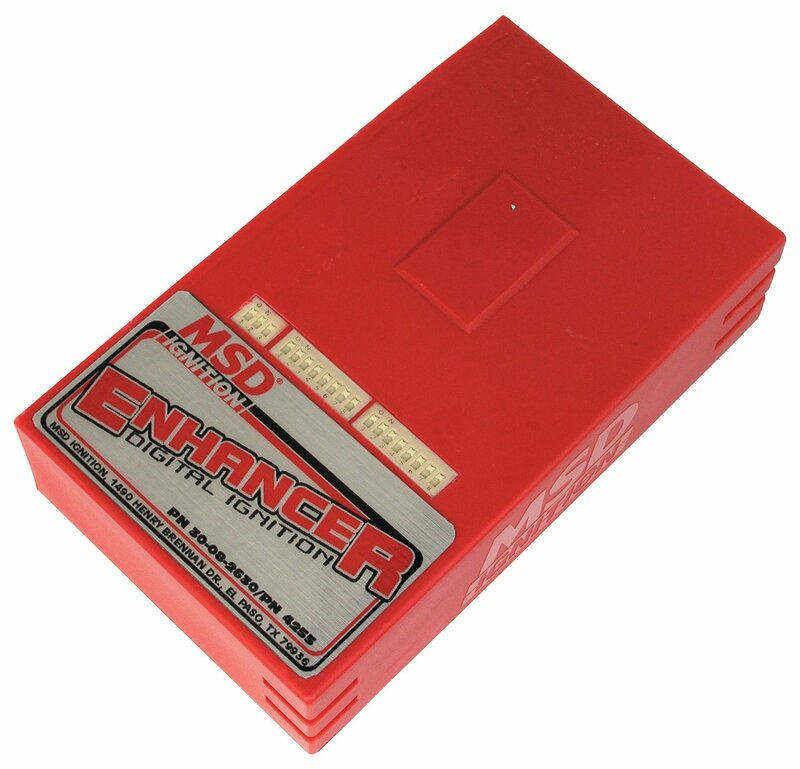 The Enhancer Ignition for the SEA-DOO® 800 (also the '95, '96, XP and GSX) uses a high speed RISC microprocessor to control all of the timing and rev limiter functions. This opens the door for programming, giving you the ability to set two rev limits and a timing curve through a series of dip switches built into the Enhancer! Being able to control the ignition curve lets you match the timing specifically to your engine and its modifications. The Digital Enhancer produces a series of sparks through 3,000 rpm rather than just a single spark. This feature delivers incredible throttle response, acceleration and keeps the idle clean and smooth. Each spark is packed with 105 millijoules of energy and up to 36,000 volts. All of this power and features are packed into one compact housing that fits in the stock electrical box and plugs directly into your SEA-DOO's® factory wiring!